A handful of cutting edge road trip goodies and gadgets are already proving to make 2011 a little safer and more cost effective, and did we mention fun? C’mon, if saving money doesn’t sound too romantic, then think of all that saved cash equaling a lot more romantic dinners wherever your travels take you. The first cool new “must have” is Joby’s Gorillatorch Flare, the ultimate flashlight unlike any predecessor. 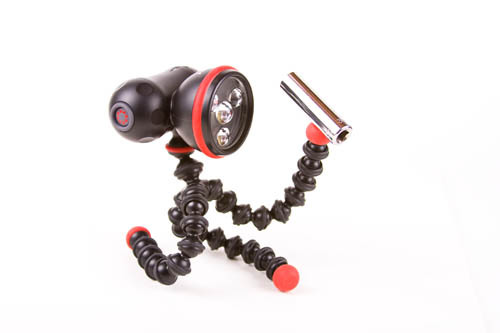 This clever gadget is mounted on Joby’s award-winning bendable, flexible legs and powerful magnetic feet. It will grip to almost anything, allowing travelers the light to illuminate any target hands-free. It has four powerful LEDS that provide six unique light settings, allowing travelers to choose the best one for any given situation. It even has a flashing white light, or steady and flashing red light. It’s also water and drop resistant and its compact and lightweight design allows for easy storage in a car glove box, RV, or a camping backpack. The Gorillatorch Flare weighs just 9 ounces (including batteries), is 8-inches tall, has a MSRP of $34.95, and, features a 1 year limited warranty. It is available for purchase at selected global retailers including amazon.com and REI. 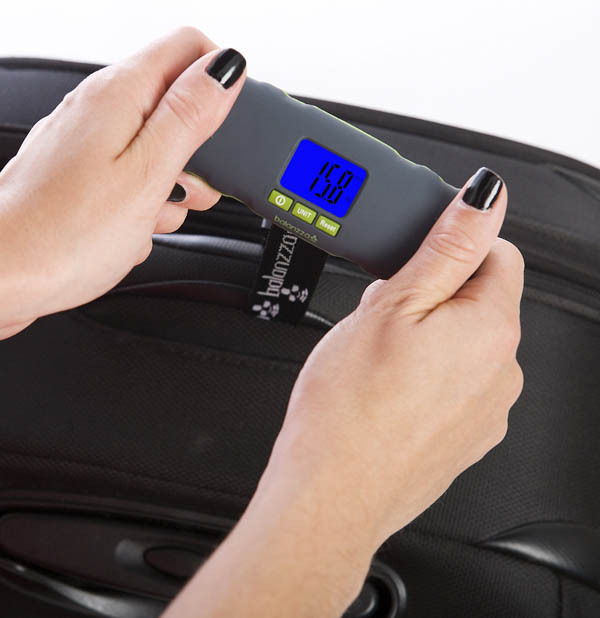 Balanzza, makers of the first ever digital luggage scale for travelers, now offers the Mini, a smart, light and easy way to pack and avoid overweight luggage fees at the airport. As the third generation of handheld Balanzza scales, the Mini is the smallest yet, but features an over sized LCD screen for improved visibility, weighs less than one-third of a pound and has a weighing capability of up to 100 pounds. This great little travel must-have helps travelers avoid unexpected overweight charges at the airline ticket counter as well as the embarrassment or having to repack on the airport floor in front of strangers. The Balanzza Mini is available directly on www.balanzza.com, in select Bed Bath & Beyond stores and in specialty stores nationwide for $24.95. Lemur Monitors knows that traveling frugally is important to everyone with rising gas prices and now they are proud to announce the immediate availability of a new auto monitoring solution designed to empower consumers with additional insight into their vehicles’ operation. 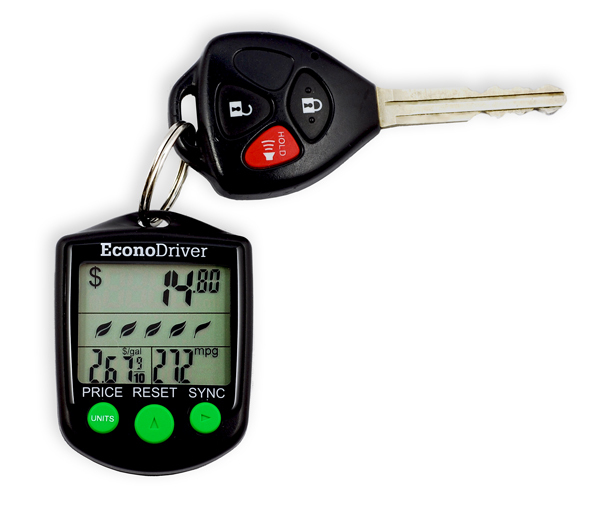 EconoDriverTM increases awareness of fuel consumption and inefficient driving. It installs within minutes and doesn’t require additional tools or even a computer connection. Simply plug the sensor into your vehicle’s Data Port which then wirelessly relays the pertinent info to the display. EconoDriver is a must on any road trip as it helps travelers drive smarter and more economically by relaying real-time fuel economy to understand how efficiently they drive. Road tripping couples can even program in the current cost of gas and it will indicate how much money they spend as they drive. Admit it; saving money really can be romantic. Flowers? Chocolates? Date night? The possibilities are endless. Portable Sound Laboratories, Inc, is a leading innovator of portable speaker systems, and now announces the iMainGo X. This premium travel must was designed to offer high-end sound quality and amazing light weight portability to customers who use the iPhone, any Apple iPod, the Microsoft Zune, and most other MP3 players. Complete with premium high output stereo speakers, tuned porting for amazing bass reproduction and an ultra-efficient digital music amplifier, the iMainGo X provides much greater sound performance and quality than other systems many times its size and price. 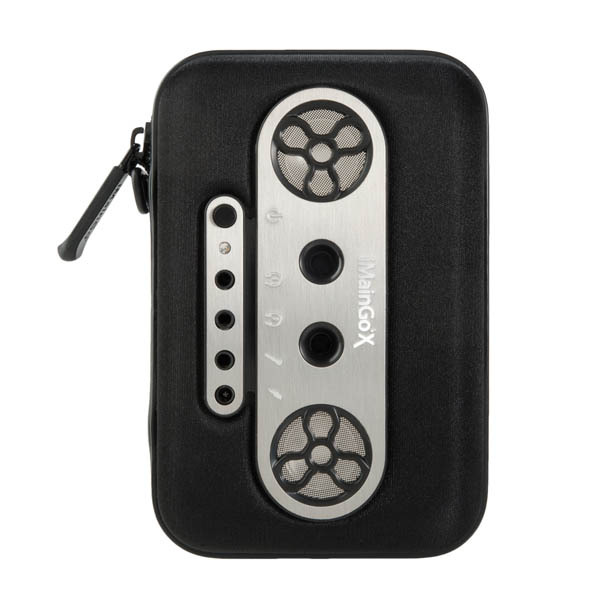 iMainGo X also custom fits and protects all iPods (except Shuffle), iPhone, iPod Touch and most MP3 players. iMainGo X can even be used as a premium external speaker system for any device with a 3.5 mm connection, such as the iPad, Kindle, or a laptop computer. An amazing value at only $69.99 MSRP (USD), the iMainGo X includes a rechargeable lithium-ion battery, two headphone jacks, mic input, plug-in charger, custom travel bag and two carry straps. “Our goal with the iMainGo brand was to create a new standard in ultra-portable stereo products, providing iPhone, iPod and MP3 users with the best in sound quality and design, at a very affordable price.” said Tim Jacobus, President of Portable Sound Laboratories, Inc. “With the introduction of the premium iMainGo X, we are again raising the sound quality bar, while adding the features that many of our customers have requested. The iMainGo X includes rechargeable lithium-ion batteries, greater functionality and a more modern look. Once again, we’ve heard our customers, and responded to their needs”. 2011 opens new horizons for travel and with that, great ways to make road trips more rewarding, affordable, and memorable.